In some IT organizations, ITSM remains a reactive holdover with declining relevance to both the business and IT as a whole. This results in severe negative impacts on IT performance, business value, and business relevance. How can you keep your ITSM relevant? This exclusive report examines “next-generation ITSM” and its contributions towards changing IT and business requirements. 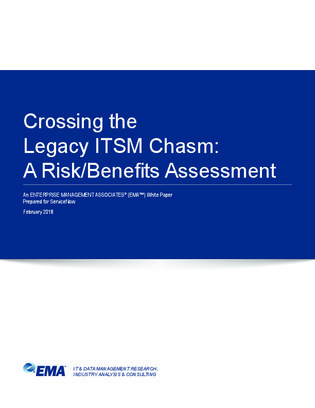 Download now to compare advances with the risks of staying with legacy ITSM models and evaluate the risks of “doing nothing” and allowing legacy ITSM to persist.